As the cost of imported food and ingredients rose, the menace of inflation became an urgent domestic issue. The ruble's rapid recovery in recent weeks has seen prices on some foods fall, easing months of spiraling inflation and softening one of the most widely felt blows of Russia's economic crisis. All major retailers contacted by The Moscow Times last week said that the ruble's rebound of some 30 percent against the U.S. dollar since early February had lowered the prices of some products. "We are observing a trend toward the reduction of prices for imported goods, as well as goods provided by Russian suppliers but containing imported components [raw materials and/or packaging]," said Oksana Tokareva, a spokeswoman for German retailer Metro Cash & Carry. Retailers Lenta, Dixy and X5 Retail Group all said that, after securing lower prices from wholesalers in view of the ruble's recovery, they were able to reduce the price of some butter, cheese and other dairy products by between 8 and 15 percent. 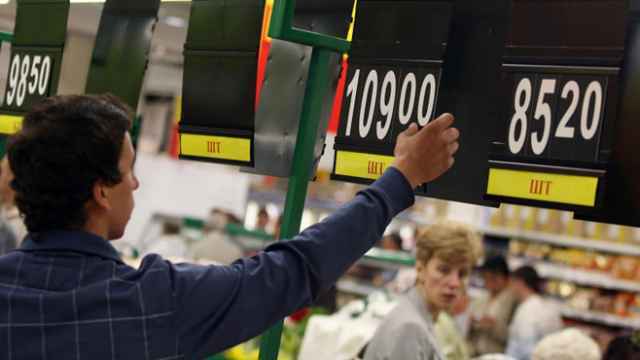 The price of grains and canned goods has also visibly dropped, said Maria Kurnosova, head of public relations in Russia for French retailer Auchan. The ruble's rebound has happily coincided with the onset of summer, when prices on a range of fresh products typically fall thanks to increased supply. Both these factors have pushed the price of imported fresh fish — one of the categories that rose most sharply late last year — down 30 percent compared to December, Kurnosova said. These price drops are a rare helping of good news for a nation that has endured months of breakneck price rises. Year-on-year food price inflation soared to a high of 24.7 percent in March, according to state statistics service Rosstat, propelled first by Russia's bans last year on food imports from the West — a response to Western sanctions over Ukraine — and then by a steep drop in the value of the Russian currency. The ruble plummeted about 40 percent against the U.S. dollar in the second half of 2014 as the price of oil plummeted and international tensions over Russia's involvement in the Ukraine crisis spurred capital flight. The Levada Center, an independent pollster, reported in March that 82 percent of survey respondents viewed precipitous price rises as Russia's most pressing problem. Inflation has consistently ranked as a top issue for Russians, many of whom saw their savings evaporate during the runaway inflation of the 1990s. Russian officials have responded by regularly exhorting retailers to keep prices down. The Prosecutor General's Office in January even organized a four-day wave of inspections in supermarkets across the country, with investigators on the hunt for unjustified price markups. Major retailers, in turn, took their own steps to subdue food price inflation. Twelve major retail chains — including all those contacted for this article — agreed in February to freeze prices on a list of "socially important" goods for a period of two months. Along with the ruble's recovery and seasonal factors, this "targeted reduction of prices to stimulate weak consumer demand … has affected price reductions," said Natalya Kolupayeva, a retail and consumer market analyst at Raiffeisenbank. There is now a sense among consumers that the peak of inflation is over. 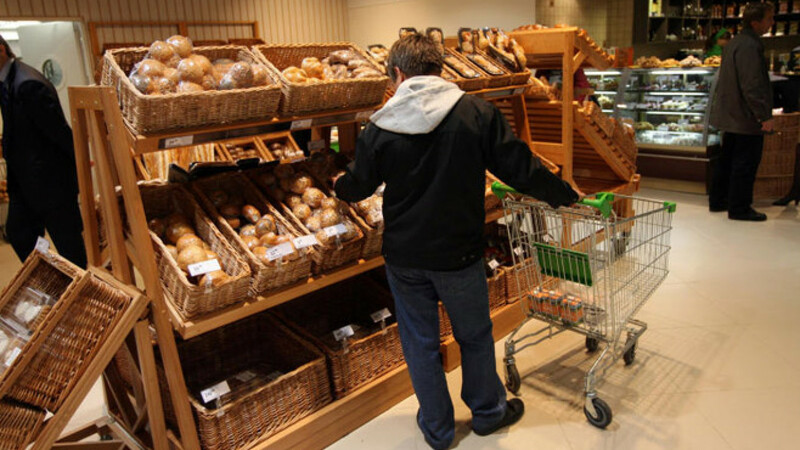 After rising sharply from 32 percent in the third quarter of last year, the number of Russians scrimping on food purchases fell from a high of 49 percent in February to 46 percent in March, according to consumer researcher Synovate Comcon. Statistics too are indicating an ebb in price rises. 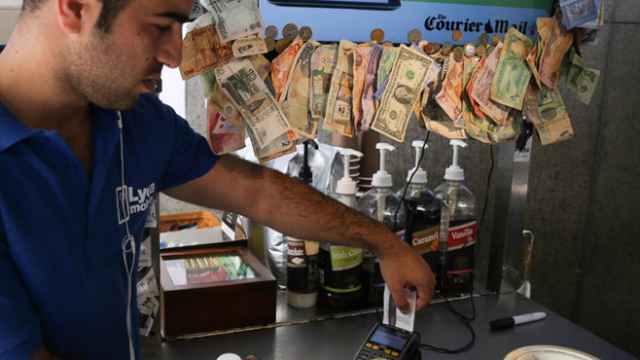 Total weekly inflation slowed to just 0.1 percent in the week between April 7 and 13, with year-on-year inflation falling for the first time since July last year, according to Rosstat. Still, many distributors are holding off on sweeping price adjustments. "For the time being, most distributors are maintaining a wait-and-see approach," X5 Retail Group's press service said. Their reasoning is clear, Kolupayeva said: "We can hardly speak confidently about the ruble exchange rate staying at its current level through the end of the year. There are risks that it will weaken." 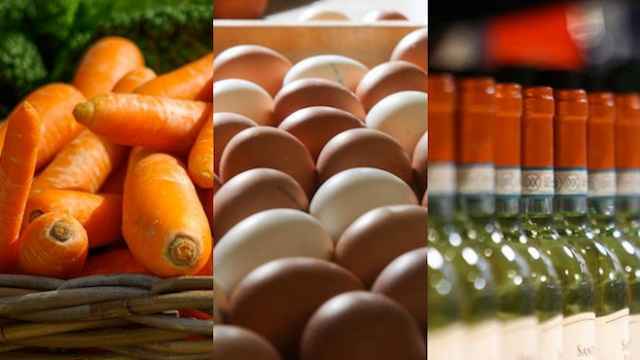 Which Food Prices Are Rising Fastest (And Slowest) in Russia?